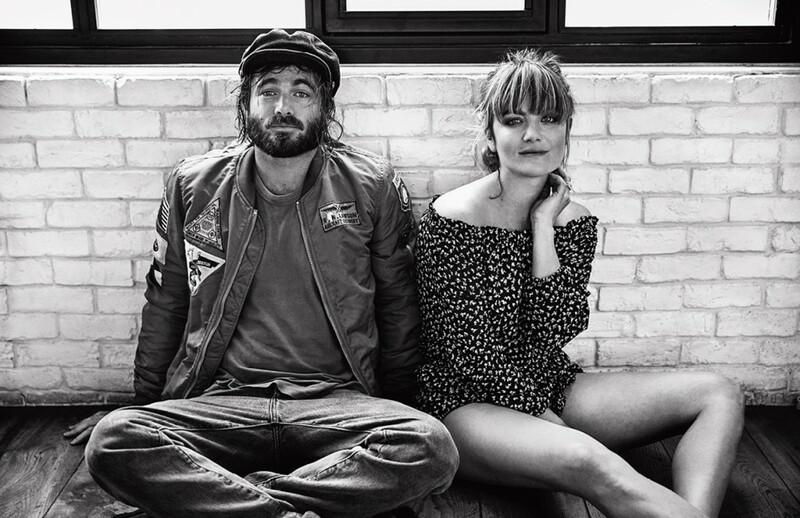 Australian sibling duo Angus and Julia Stone have conquered audiences worldwide in less than a decade, with a mere three albums. Their latest album, the 2014 self-titled Angus & Julia Stone, marked their return to the record waves after a four year hiatus. Schön! sits down with duo whilst they work their way through a worldwide tour, to get the lowdown on Rick Rubin, the need for a break and the real reasons to get back on the recording road again. 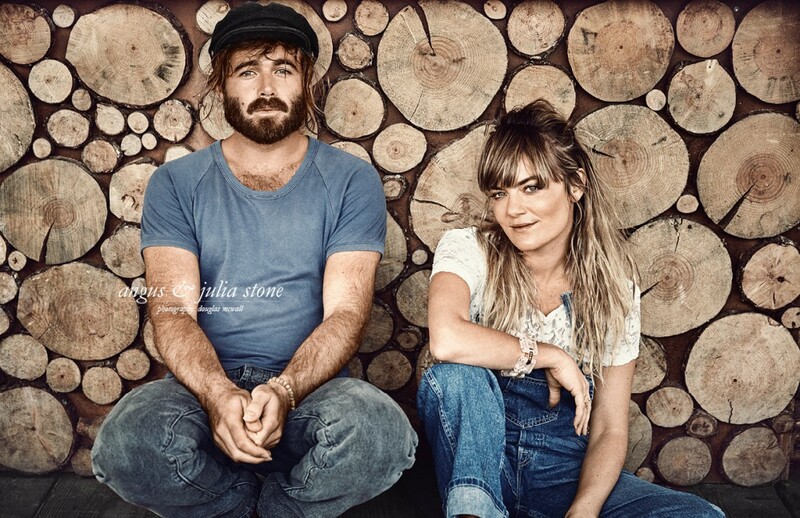 For your latest album, Angus and Julia Stone, you decided to do everything together, starting with the song writing. How do you co-write a song? Julia Stone: The strange thing is that the lyrics come quite easily. We never have to talk about it because we want to sing about similar things. As for the music, someone comes up with the guitar part, a riff or some chords, and the other starts singing over it. Then the first person sings a little bit too. It goes backwards and forwards like this until something, a melody stays in your head. Of course, some songs come easier than others! The album begins with your two voices singing in unison. Why haven’t you sung together more in the past? Angus Stone: When we got the call from Rick (Rick Rubin, the producer of the album) to make this record, we felt something needed to change. We wanted to try something new. And singing together was something we hadn’t yet fully explored so that just naturally happened. Most of the songs you composed together for this album are love songs. A Heartbreak, Heart Beats Slow, Don’t Take My Word for It… Isn’t it odd writing love songs with your sibling? J.: It doesn’t feel weird, it all comes naturally. Angus and I grew up together, we have lived together for the last ten years and we both know a lot about each other, so it just feels like an open book. Love is a big part of everyone’s life and a topic everyone wants to talk about and share, it’s universal. How was working with Rick Rubin? A.: He’s a huge music lover. He has a nice calm energy and he’s focused, he knows what he likes and what he doesn’t. It’s good to be around someone who’s really interested in what you’re doing, who’ll ask you to play the song again and again until it’s perfect. This new album has a lot more electric guitars, the voice is stronger… Where does this influence come from? How would you define it? J.: When you do anything a lot, you get more comfortable with what you’re doing. I think we became more confident and it felt more natural to be in the studio this time. You can hear that as well in our voices. About the electric guitars, it was Angus’ idea. I’ve always been lazy when it comes to my instruments and I was not particularly driven to play it, but when we formed as a band again he said that I should get my own pedals, my own amp, and my own electric guitar. He took me out shopping for all these things. I now have a better collection of guitars than Angus! A hip-hop drummer joined your band on this album. Did it add something new to your folk-pop sound? A.: Definitely. One of the biggest things that Rick did for our band was introducing new musicians with unique and varying styles. We went through a few guys who didn’t work and then we landed on Chris Dave, the drummer. It seems surprising for us to have a hip-hop drummer but when you listen back, it makes sense. It’s always like that with relationships; you need that kind of differences for something to work. After being apart for four years, you found yourselves working together in a studio 24/7 and touring with each other again. Did the time you spent apart change the experience or did you get back to the routine you were used to? A.: It changed the experience for sure. I think us having a time off was a good thing. J.: When we finished touring Down the Way, it was getting difficult. Not because we had a dislike for each other but just because we had spent so much time together. A.: When you make a record you hold on to it for a year, then you tour, and it takes another year. We needed our headspace. You need to miss things, and a change in the way you work often creates some of your best work. The album starts with a song named The Heartbreak and ends with another called Crash and Burn. It seems like a somewhat pessimistic choice, was it intentional? J.: I don’t think there is ever a conceptual shape to a record in that way. I really like the idea that the track listing tells a story, but I think you end up choosing the order based on the feeling each song brings. A Heartbreak felt like a kick straight into the record and it was an accurate portrayal of the sound the album was giving, with Angus and me singing in unison. Crash and Burn may be the most open sounding song because it has a lot of freedom to it. If I think about all the records we’ve made, the last tracks, Old Friends, Santa Monica Dream, are all quite sad but they’ve got that same feeling of space and opening. How did your parents, who played music as a duo themselves, first react to your choice to play music together? A.: Their first reaction was probably, “Wow! That’s fucked!” Then I remember my dad said “When you gonna get a real job?” But he’s a musician himself, so I guess he eventually understood. Your album is self-titled, the cover shows the two of you together… Is it because this record is the most representative of who the both of you are as an entity? J.: In retrospect, I think it’s an accurate description, even if at the time it was not conscious. For our previous records, there was always a track that made sense to be the title – Chocolates and Cigarettes, Down the Way, A Book like This. This time, no title came up and Angus suggested we just call it our names. We were really proud of the record we’d made and we wanted to put our faces on there and stand behind it in a way. For us, in a way, this record was like a first record, the first record we really collaborated on. Does this new way of working together make you want to try again in the future? A.: Yes, we were talking about it the other day. We have a few months coming up at the end of the year so we’ll see what happens!